"After being diagnosed I realized that material things didn’t matter as much as memories and family is where my focus needed to be." I’m 41, an active father of two amazing boys Joshua (9) and Austin (7). In November of 2016 I went to my orthopedic surgeon complaining of shoulder pain. They took some x-rays, ordered some physical therapy and sent me on my way. Over the next few months I did a few large caterings and restaurant openings for work. I even did a stint on the food network, all with a shattered humerus. In April of 2017, one of the fathers of a kid on my baseball team who happens to be a radiologist noticed my arm and asked if he could look at my x-rays. The next day while I was getting ready for a photoshoot I was anemic and shot the same friend a picture of my face. He immediately told me to go to the ER and tell them I have myeloma cancer and I’m in kidney failure from too much calcium in my blood. From that point on my life changed. 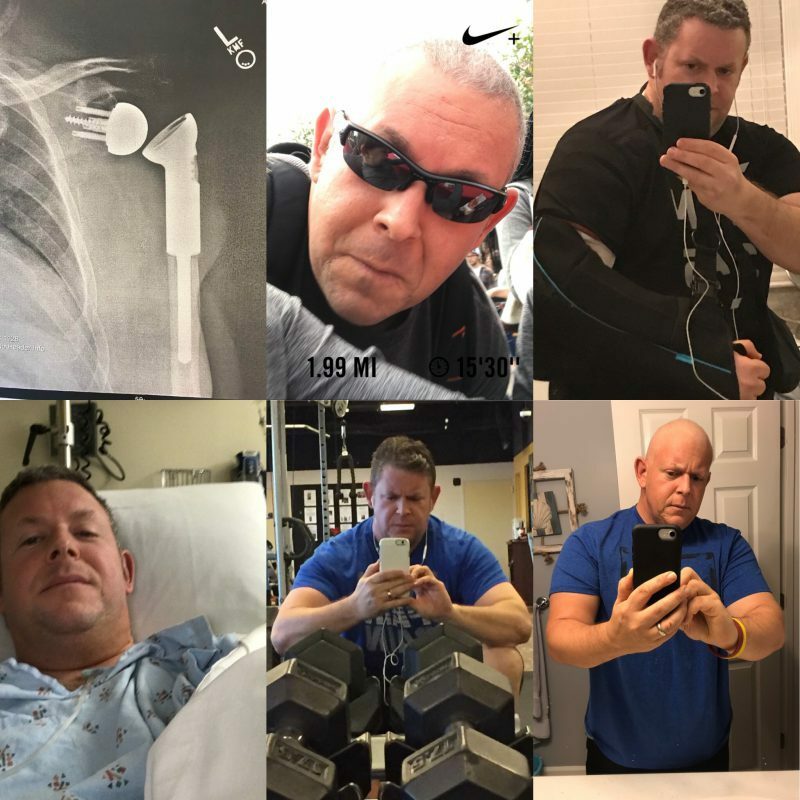 Within six months I would undergo two weeks of radiation, six rounds of RVD treatments, a stem cell transplant and have my shoulder and half my humerus completely replaced. Through it all I have continued to work, coach several baseball and football teams, travel and live a new normal life. I have to admit at first I was angry, mad and very upset when I was told I had a three to five year life expectancy at the age of 39. I was at a point in my life that I worked hard, I was present in my home and in my kids lives but not fully invested. After being diagnosed I realized that material things didn’t matter as much as memories and family is where my focus needed to be. It’s sad that a life threatening disease with no cure made me stop and smell the roses. My new normal with cancer is life!